Refine and revitalise your skin with Borghese's Fango Active Mud for Face and Body, an exclusive mud mask sourced from Tuscany's volcanic hills. Packed full of minerals and detoxifying ingredients, the mask utilises Fango Active Mud which expertly energises and nourishes skin from head to toe. Its gentle exfoliating properties slough away dead skin, unclog pores and deeply purify to reveal smoother, softer, brighter-looking skin. Fine lines appear reduced and the face and body are left feeling firmer and hydrated with improved clarity. 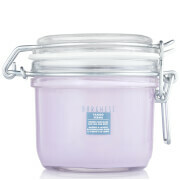 Infused with Sweet Almond and Avocado Oils to nourish and comfort. 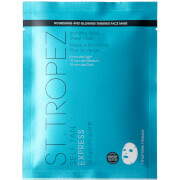 Apply generously (about one quarter inch thick) to clean skin (face, neck and/or body), avoiding the lip and eye areas. Leave on for 5 to 10 minutes. Rinse off thoroughly using sponge or washcloth. Water Water/Eau, Bentonite, Propylene Glycol, Iron Oxides, Prunus Amygdalus Dulcis (Sweet Almond) Oil, Persea Gratissima (Avocado) Oil, Parfum, Trisodium Edta, Sea Salt Maris Sal, Collagen Amino Acids, Hydrolyzed Collagen, Adenosine Triphosphate, Hyaluronic Acid, Mineral Salts, Magnesium Aluminum Silicate, Hydroxyethylcellulose, Talc, Solum Fullonum, Polysorbate 20, Cellulose Gum, Phenoxyethanol, Methylparaben, Propylparaben, Chromium Oxide Greens, Titanium Dioxide.